Volvo will not be keeping the regular V90 in stock in United States, so you'll have to special-order it. 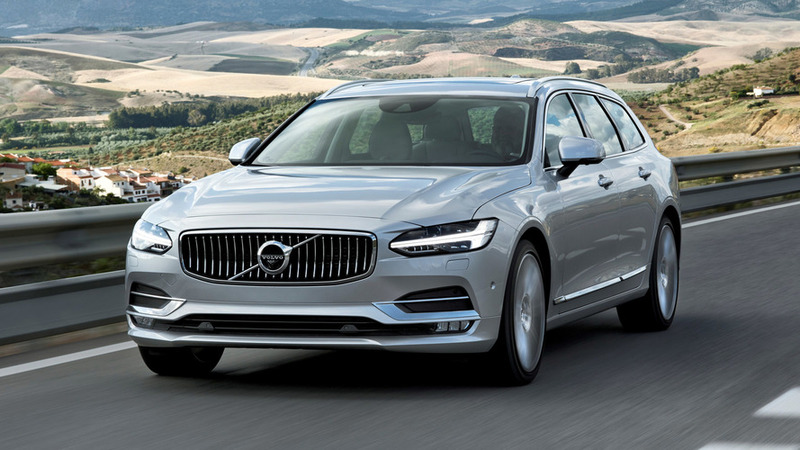 $49,950 is going to put you behind the wheel of a shiny new Volvo V90 in United States where the stylish midsize wagon is now available to order. 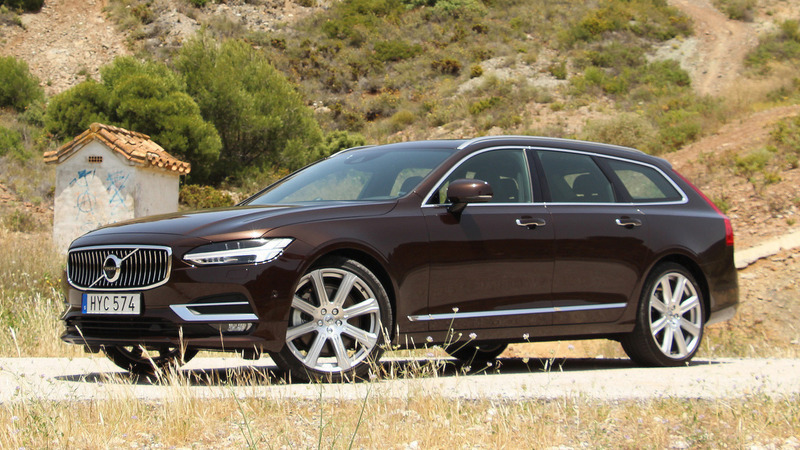 As previously mentioned, you won’t be able to head to your local dealer and simply buy one because Volvo will not stock the V90 due to concerns related to the slow demand for regular wagons in the U.S. On the other hand, the V90 Cross Country version will be stocked as the Geely-owned marque estimates it’s going to be significantly more popular than the standard model. If you are not too fond of jacked-up wagons that can do mild off-roading, you’ll be happy to hear the regular V90 is $5,350 cheaper than its rugged sibling, but bear in mind it eschews the Cross Country’s all-wheel drive for a FWD setup. The entry-level model comes in a T5 FWD R-Design flavor and has a turbocharged 2.0-liter gasoline engine with 250 horsepower and 258 pound-feet of torque. For something with more muscle and all-wheel drive, the T6 AWD R-Design begins at $55,950 and uses a turbocharged and supercharged 2.0-liter with 316 hp and 295 lb-ft. The other trim available is the more luxurious Inscription kicking off at $51,950 for the T5 and from $57,950 for the AWD-equipped T6. Both of them come as standard with plenty of goodies, such as Nappa leather seats, a panoramic moonroof, wood trim, and both Apple CarPlay and Android Auto integration for the lovely 12-inch infotainment system. Just like all Volvo models, it benefits from a lot of safety kit as standard equipment, like Blind Spot and City Safety bundling automatic emergency braking with pedestrian, cyclist and large animal detection. Interestingly, you can select overseas delivery should you want to go pick up the car straight from Sweden where it’s made. You will get two paid airline tickets and hotel accommodations to Gothenburg, along with a tour of the Torslanda factory before heading to Volvo’s Factory Delivery Experience Center to take delivery of the V90. You can play with the online configurator at the source link below. 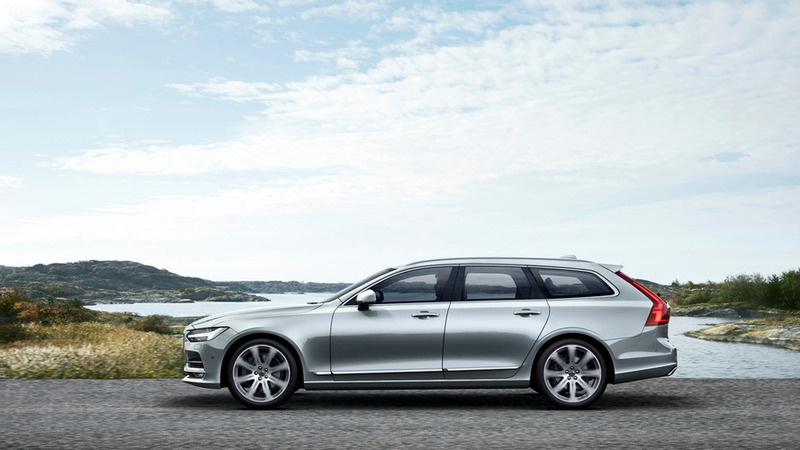 The Volvo V90 Wagon is now available to order for U.S. customers. The custom order approach via Volvo Concierge allows the company to provide a full range of options to wagon lovers. Customers can perfect their vehicle via a unique one-to-one interaction with a Volvo representative online. The V90 will also be available through Overseas Delivery, which can be initiated via Volvo Concierge or at a local retailer. The T5 FWD R-Design V90 will start at $49,950. 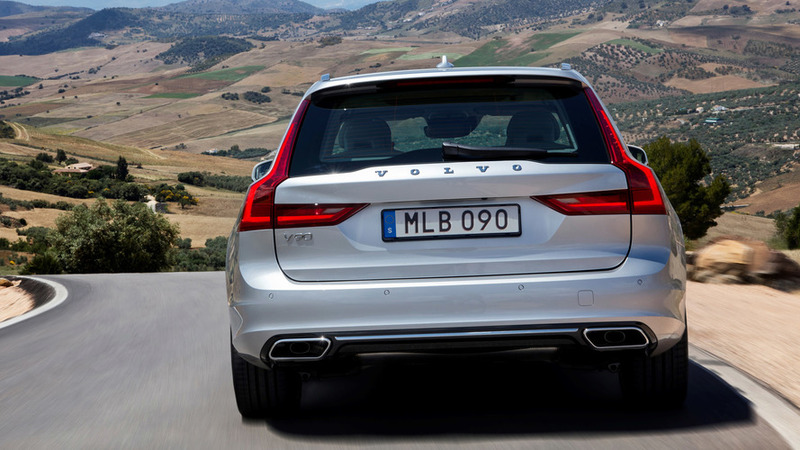 The V90 has received international praise for its combination of style and utility. 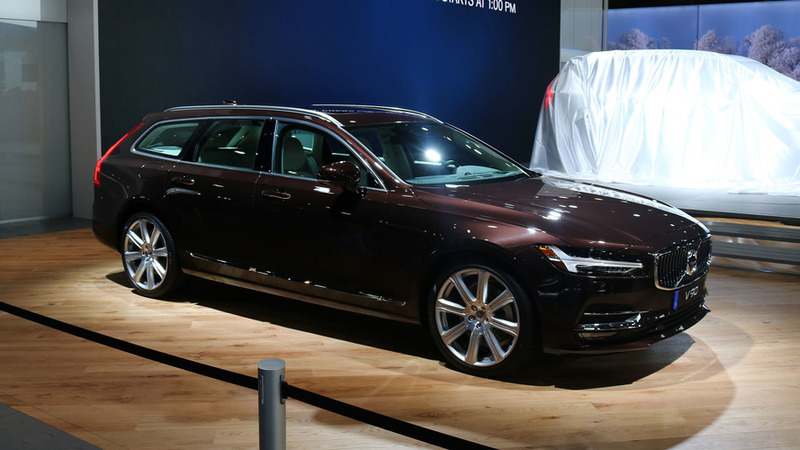 Based on Volvo’s new Scalable Product Architecture (SPA) and the new Volvo design language, the V90 shares interior design attributes with the award-winning S90, such as the 12” Sensus Connect Touchscreen, open-pore wood trim and Nappa leather. The V90 will be available with either Volvo’s T5 FWD, turbo-charged Drive-E engine or T6 AWD, turbo and super-charged powertrain in Inscription or R-Design trim. Leather seats, a Panoramic moonroof, Blind Spot Information System (BLIS), Apple CarPlay and Android Auto are standard along with City Safety, which includes automatic emergency braking with pedestrian, cyclist and large animal detection. Wagon lovers are invited to log on to http://www.volvocars.com/us/build/wagon/v90 and customize their vehicle. While there, they can access Volvo Concierge, which uses online chat, email and phone conversations to assist in configuring and ordering a car. The Volvo Concierge will stay in constant contact with the future V90 owner, notifying them of when the car has been shipped from Sweden and when it is expected to arrive home. Upon arrival at a local retailer for customer delivery, the car will have all options, such as radio stations and software settings, personalized based on the owner’s preference. V90 customers that wish to have the full Scandinavian experience can choose Overseas Delivery, which provides two paid airline tickets and hotel accommodations to Gothenburg, Sweden. Customers will receive a tour of the factory where their V90 was assembled and then pick up their car at Volvo’s Factory Delivery Experience Center. V90 owners can drive the car throughout Europe and drop it off at a designated port for shipping back to the United States. Customers can order the V90 through Overseas Delivery via Volvo Concierge, by calling 1-800-631-1667, or a Volvo retailer.